From the moment you enter this flawlessly maintained home, youll appreciate the meticulous care it has been given by its original owner. Located within a quiet neighborhood, it not only provides 4 bedrooms on the upper level but also includes a 2nd floor laundry room to eliminate the headache of carrying laundry up and down stairs. Granite countertops, stainless steel appliances and a connected family room makes this bright kitchen fun to work in.Unwind on your patio overlooking the greenbelt extending behind your new home or enjoy taking a short walk on the concrete pathway to the nearby pocket park. You will enjoy living within the thriving Meridian Village master planned community while taking advantage of the neighbor- hood pool and extensive paved pathways. 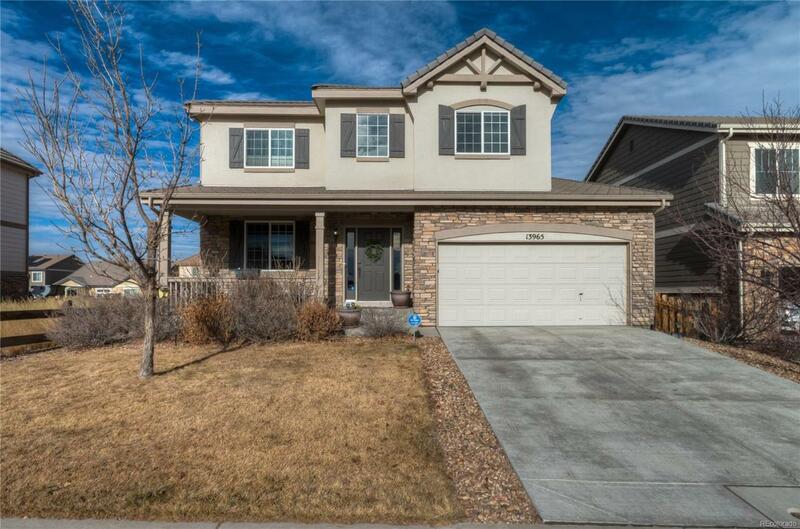 With a 3 car tandem garage and full basement, storage will be the least of your worries and the South-facing driveway is an added bonus during Colorado winters! Association Name Primary Meridian Village North Owners Association Inc.